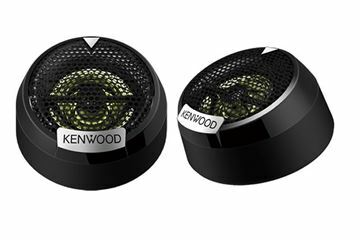 The KENWOOD KFC-835C is a slam-dunk replacement speaker for tired, old factory speakers. 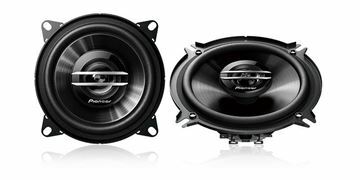 Designed for 3.5" dash applications, this system has a water- resistant cone, offers 40 Watts of power, and sounds great, too! 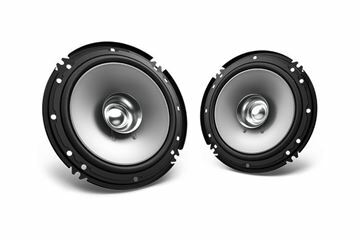 The Z is based on highly advanced technology developed by Pioneer, employing carefully selected materials and parts, benefiting from our decades of automotive loudspeaker design theory and testing ability. 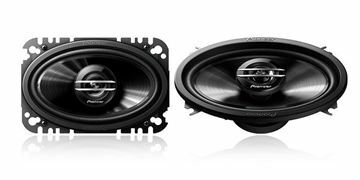 Following Pioneer’s OPEN & SMOOTH™ sound concept, the Z series of automotive loudspeakers features smooth off-axial frequency response, superior directivity and extended frequency range engineered specifically to produce dynamic, accurate sound quality for the car. 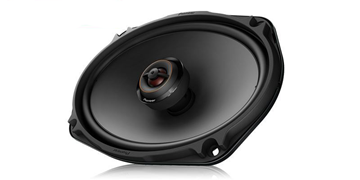 The result is a purity of sound that achieves unprecedented audio artistry. 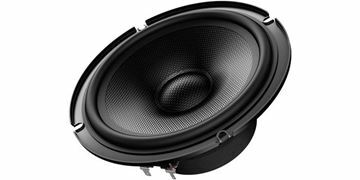 The Z is based on highly advanced technology developed by Pioneer, employing carefully selected materials and parts, benefiting from our decades of automotive loudspeaker design theory and testing ability. 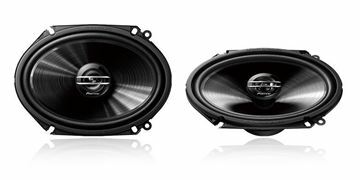 The Z is based on highly advanced technology developed by Pioneer, employing carefully selected materials and parts, benefiting from decades of automotive loudspeaker design theory and testing ability. 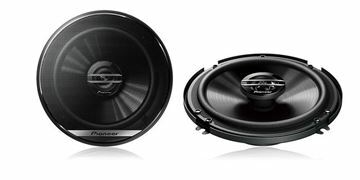 Following Pioneer’s OPEN & SMOOTH™ sound concept, the Z series of automotive loudspeakers features smooth off-axial frequency response, superior directivity and extended frequency range engineered specifically to produce dynamic, accurate sound quality for the car. 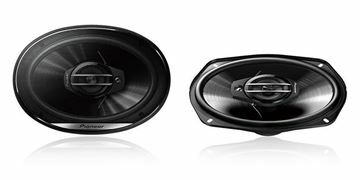 The result is a purity of sound that achieves unprecedented audio artistry. 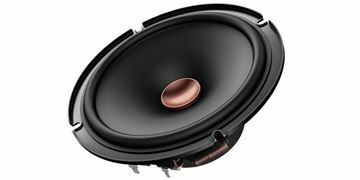 The D is a result of Pioneer’s automotive loudspeaker engineering experience and expertise, combining advanced design techniques with highly developed manufacturing capabilities. 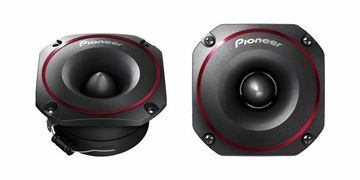 Following Pioneer’s OPEN & SMOOTH sound concept, the D series of automotive loud speakers provides broad and balanced frequency response with a wide sound stage and amazing fidelity for the listener. 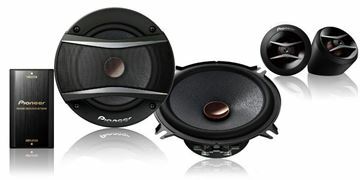 The D is a result of Pioneer’s automotive loudspeaker engineering experience and expertise, combining advanced design techniques with highly developed manufacturing capabilities. 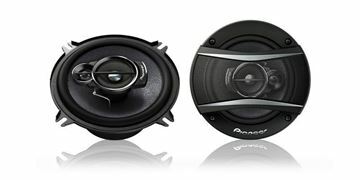 The D is a result of Pioneer’s automotive loudspeaker engineering experience and expertise, combining advanced design techniques with highly developed manufacturing capabilities. 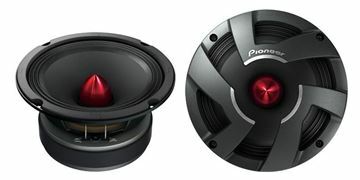 Following Pioneer’s OPEN & SMOOTH sound concept, the D series of automotive loud speakers provides broad and balanced frequency response with a wide sound stage, and amazing fidelity for the listener. 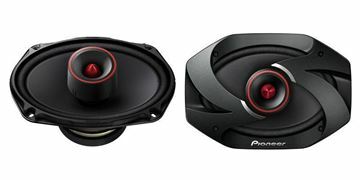 Pioneer 6" x 8" 2-Way Coaxial Speaker 250W Max. / 40W Nom. 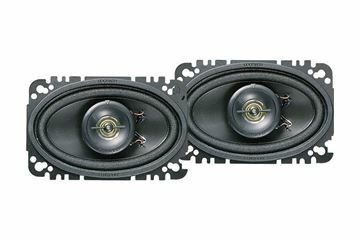 Our TS-G6820S speakers are excellent choices to replace a bad set of factory 6" x 8" speakers. 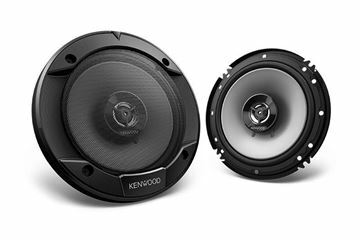 Their two-way design handles 250 watts max. 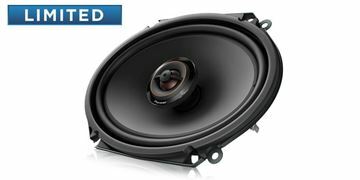 power (40 watts nominal) and features Pioneer’s extremely strong and lightweight Injected Molded Polypropylene™ (IMPP) with MICA composite cone woofer for improved sensitivity and reduced distortion. 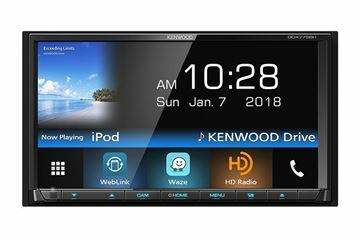 You don't get just basic, run-of-the-mill features either. 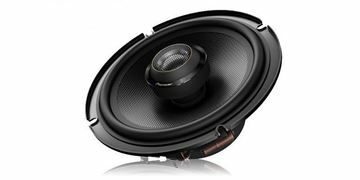 The conex damper delivers higher power handling and deeper bass, and the 1-3/16" Balanced dome tweeter reproduces highs with great performance and musicality. 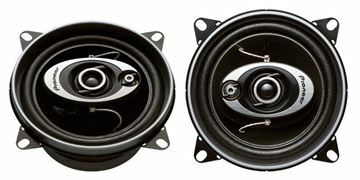 These speakers are designed with a shallow mounting depth for easy installation and custom-fit baskets for select Ford and Mazda vehicles. 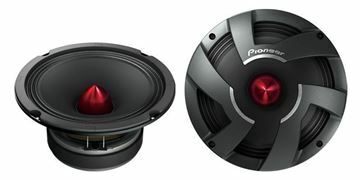 Pioneer 5-1/4" 2-Way Coaxial Speaker 250W Max. 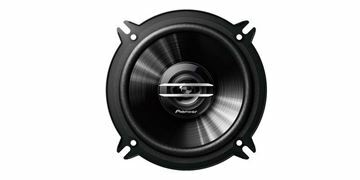 / 35W Nom. 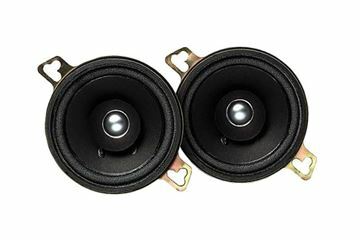 Our TS-G1320S speakers are excellent choices to replace a bad set of factory 5-1/4" speakers. 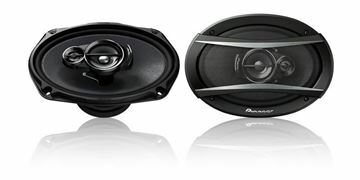 Their two-way design handles 250 watts max. 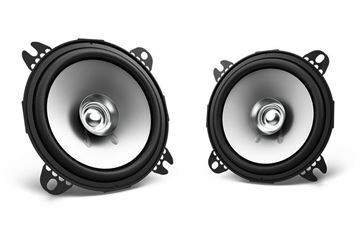 power (35 watts nominal) and features Pioneer’s extremely strong and lightweight Injected Molded Polypropylene™ (IMPP) Composite Cone Woofer for improved sensitivity and reduced distortion. 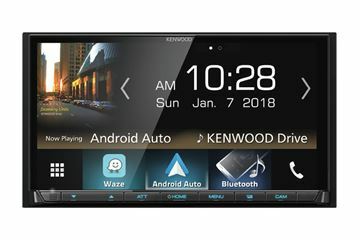 You don't get just basic, run-of-the-mill features either. The conex damper delivers higher power handling and deeper bass, and the 1-3/16" Balanced dome tweeter reproduces highs with great performance and musicality. These speakers are designed with a shallow mounting depth for easy install into a wide variety of vehicles. 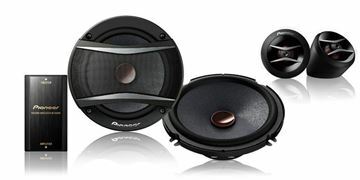 Speaker grilles are not included. 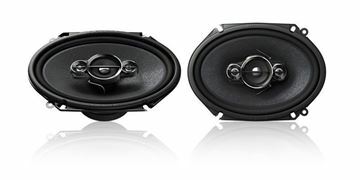 Our TS-G1620F speakers are excellent choices to replace a bad set of factory 6-1/2" speakers. 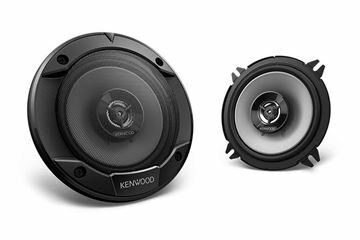 Their two-way design handles 300 watts max. 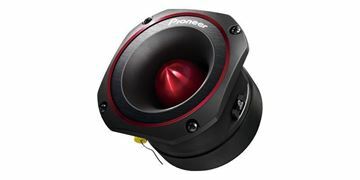 power (40 watts nominal) and features Pioneer’s extremely strong and lightweight Injected Molded Polypropylene™ (IMPP) Composite Cone Woofer for improved sensitivity and reduced distortion. You don't get just basic, run-of-the-mill features either. 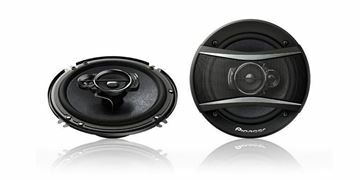 The conex damper delivers higher power handling and deeper bass, and the 1-3/16" Balanced dome tweeter reproduces highs with great performance and musicality. 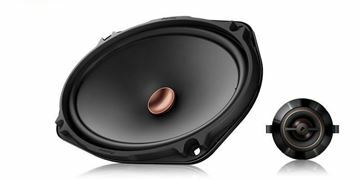 These speakers are designed with a shallow mounting depth for easy install into a wide variety of vehicles. 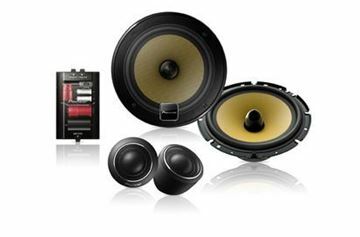 Speaker grilles are not included. 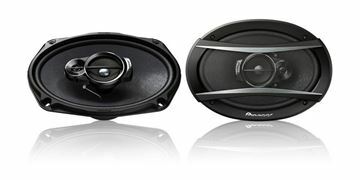 Pioneer 6" x 9" 3-Way Coaxial Speaker 400W Max. / 45W Nom. 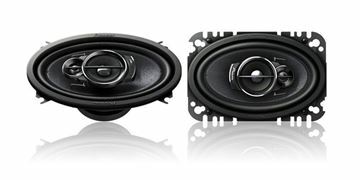 Our TS-G6930F speakers are excellent choices to replace a bad set of factory 6 x 9" speakers. 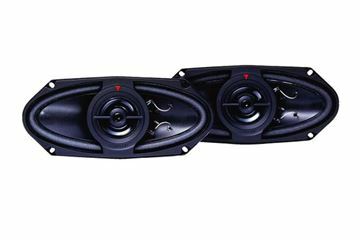 Their two-way design handles 400 watts max. 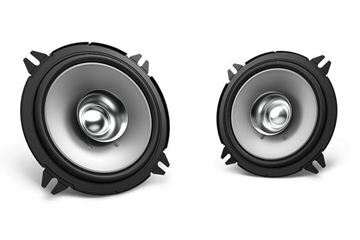 power (45 watts nominal) and features Pioneer’s extremely strong and lightweight Injected Molded Polypropylene™ (IMPP) Composite Cone Woofer for improved sensitivity and reduced distortion. 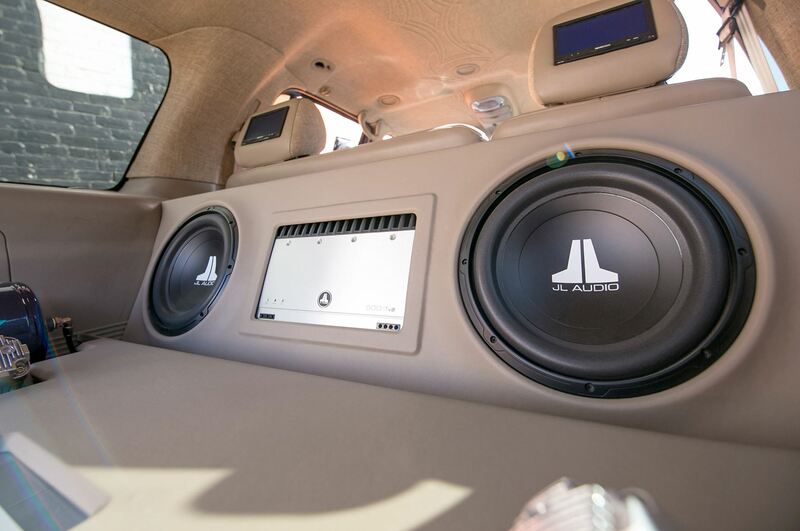 You don't get just basic, run-of-the-mill features either. 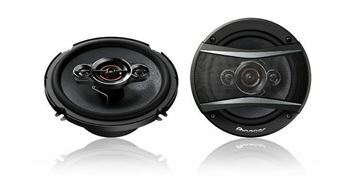 The conex damper delivers higher power handling and deeper bass, and the 2" Cone midrange and 3/8" Dome tweeter reproduces highs with great performance and musicality. These speakers are designed with a shallow mounting depth for easy install into a wide variety of vehicles. 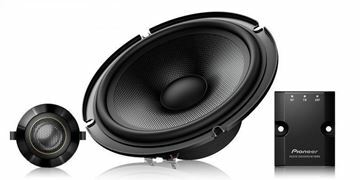 Speaker grilles are not included.